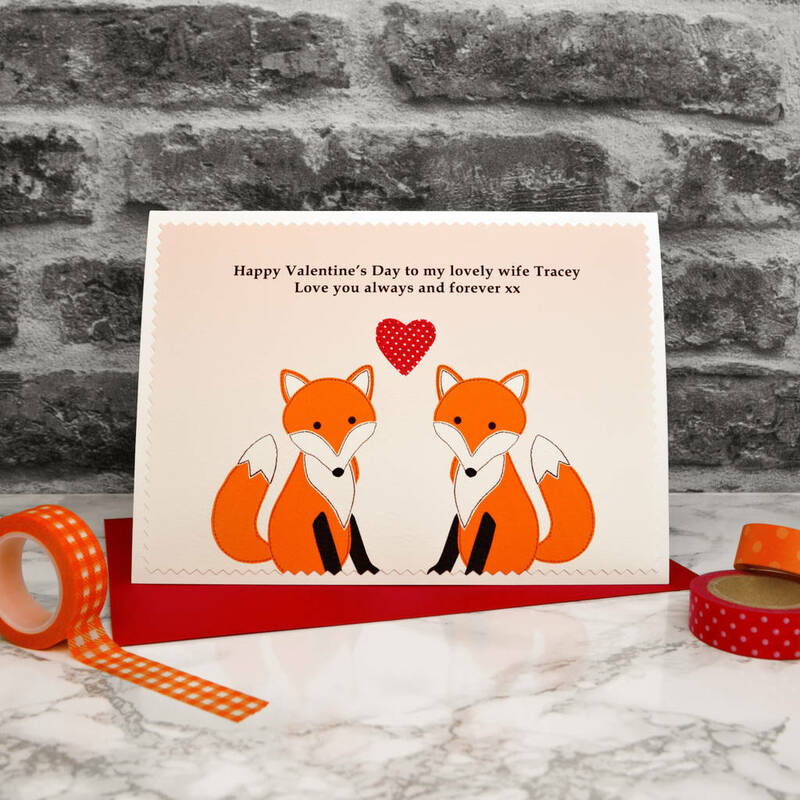 A sweet personalised Valentines card for couples with two loved up foxes... perfect for giving your girlfriend, boyfriend, husband or wife on Valentine's day! 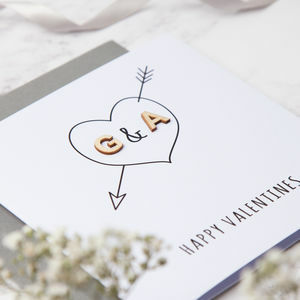 This handmade personalised Valentines card for him or her comes in a large A5 size with a red envelope and is ideal for your loved one this Valentines day, being equally suited for both men and women. 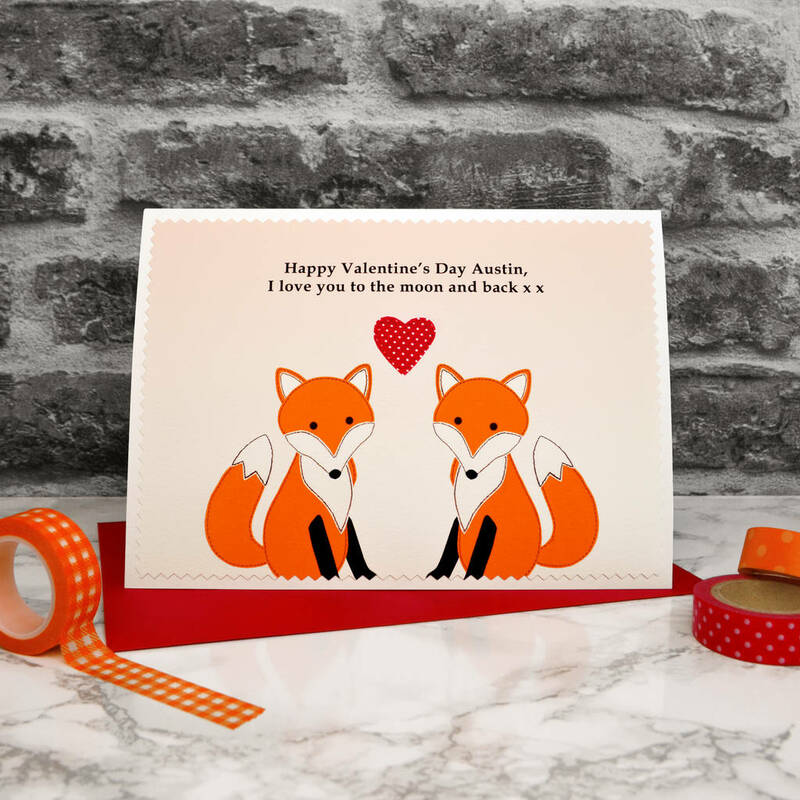 Whether you're spending your first Valentine's day together as a couple, or your 30th, this fox Valentine card is perfect to let your husband, wife, boyfriend or girlfriend know how much you love them. 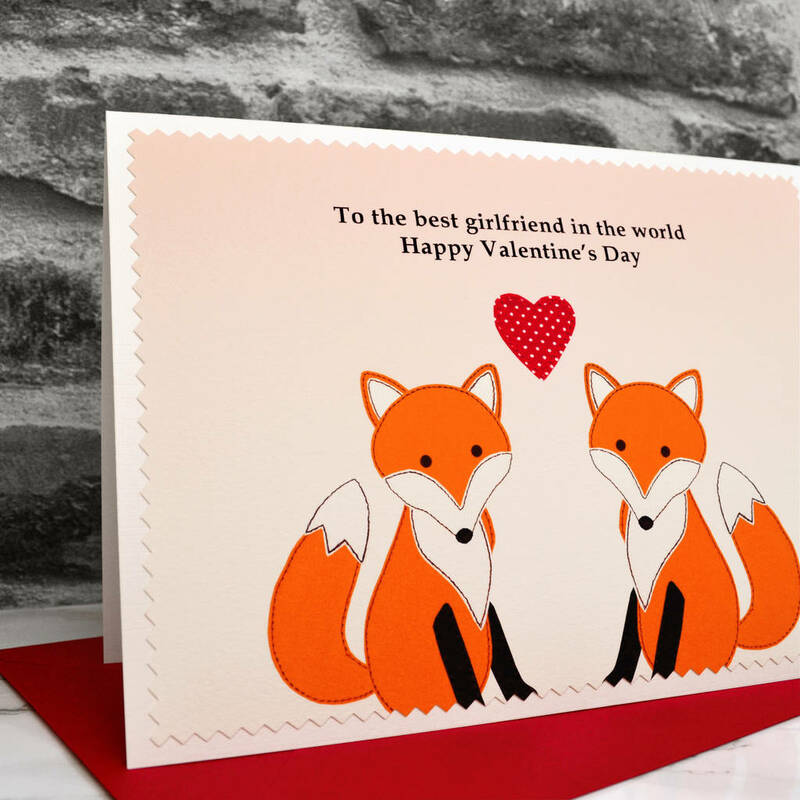 To my foxy girlfriend Anna, Happy Valentines! 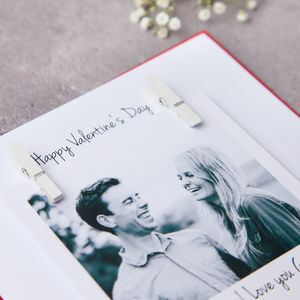 You could even frame and mount the card, turning it into a personalised Valentine's day gift which can be kept as a memento or Valentines keepsake. I also make a wide range of other handmade Valentine cards and anniversary cards - please click on the 'see seller's complete range' link to see my whole collection. The design for this printed handmade Valentines card by Jenny Arnott Cards & Gifts does retain some of the original textures of the fabrics and stitching used, however please note that the card is not actually embroidered but has been printed onto lovely artists paper, then trimmed with a zig zag edge and adhered to a quality textured white card. 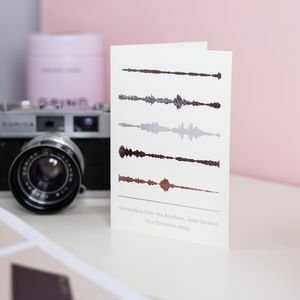 The card is blank inside for you to write your own message before giving. 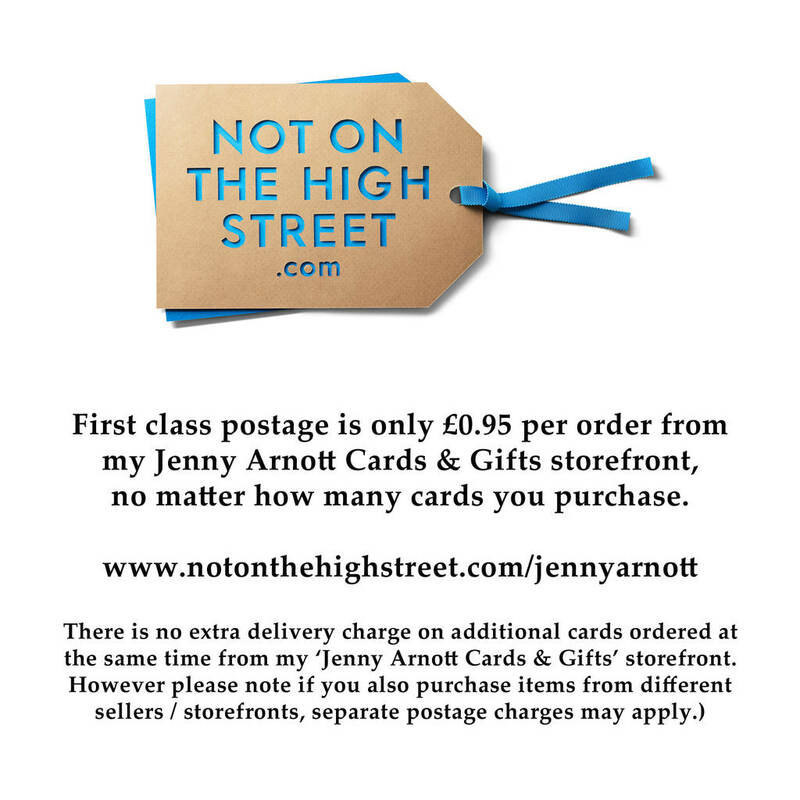 The card comes with a red envelope and is sent by first class post, protected in a clear cello wrapper and sturdy board backed envelope.